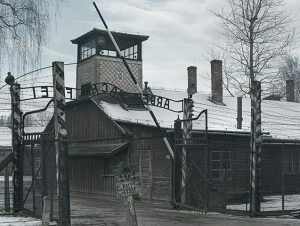 As tourists seem to be increasingly drawn to places linked to death, disaster, atrocity, or ongoing socio-political conflict, visitors are flocking to sites like the 911 Memorial, concentration camp museums, cemeteries and battlefields – and many other “attractions” that don’t offer tour buses or gift shops. Author and fine-art photographer Rebecca Lilith Bathory’s new book, Dark Tourism, is filled with gorgeous photographs and commentary about what makes places like these such popular tourist destinations. The outstanding feature of this fascinating book is the photography that captures the somber yet beautiful vibe of the locations, made with great empathy for the suffering behind them that makes them meaningful. The author gathered the content by visiting 100 sites in 20 countries, including Britain, Germany, Vietnam, Thailand, Japan, and Cuba. 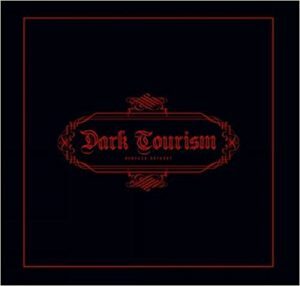 Dark Tourism is the culmination of her worldwide quest to document and understand the booming death tourism industry. 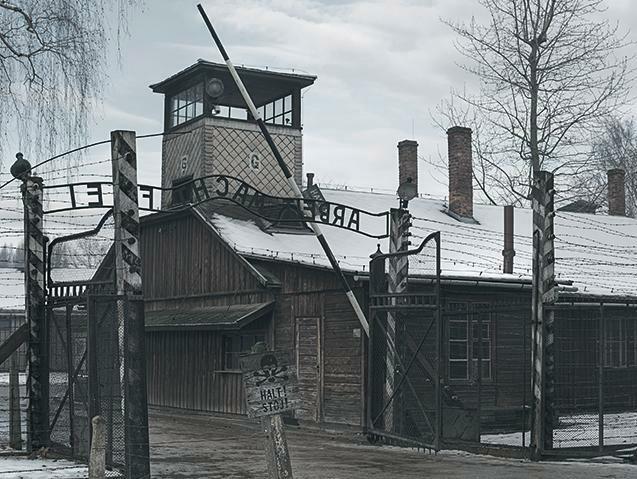 Auschwitz – The WWII Nazi death camp in Poland where over a million innocent people lost their lives. The memorial site is such a popular tourist destination that its website urges visitors to make advance reservations online to avoid being turned away. The Paris Catacombs – A labyrinth of ossuaries (bone repositories) that contain the remains of 6 million people. 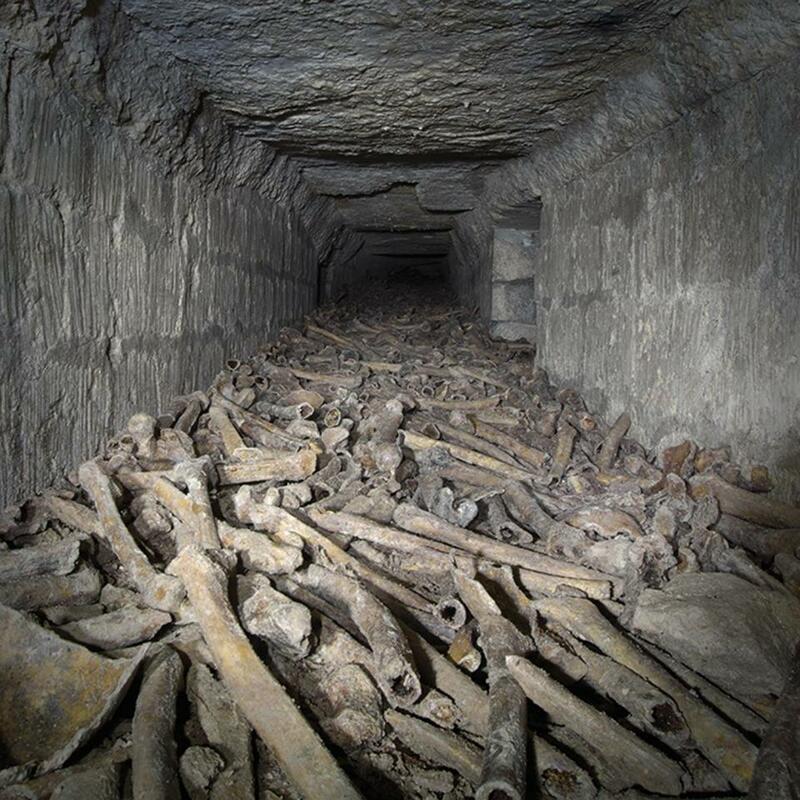 The catacombs were created in 1774 from a part of the city’s ancient stone mines to help address the problem of overflowing cemeteries. The Church of the Nine Ghosts – Abandoned since the 1960s, St. George’s Church in Lukova, Czechia, has long been devoid of human worshippers… but it’s not empty. 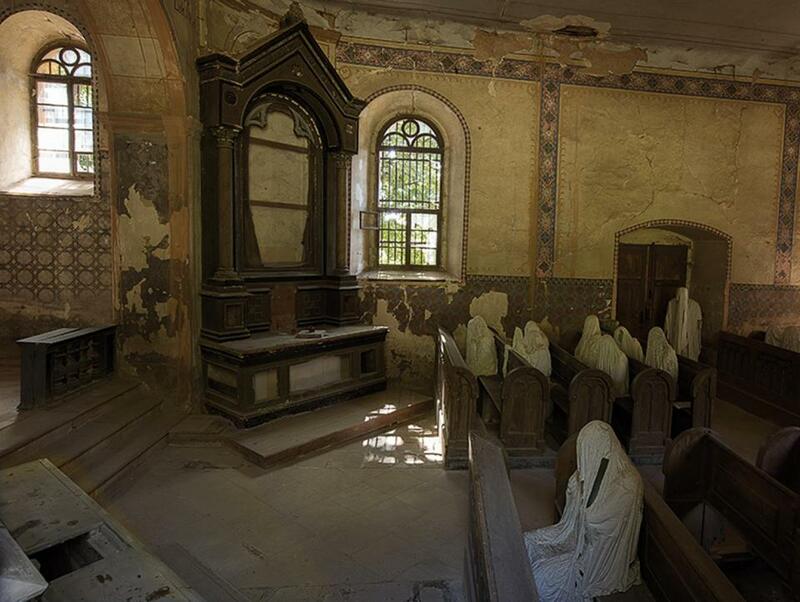 Ghostly shrouded figures line its pews, some hovering in doorways and in the aisles. They’re part of an art installation that aims to restore the historic church that was built in 1352. Island of the Dolls (Isla de las Munecas) – See my September 2017 article about this fascinating tourist attraction near Mexico City. 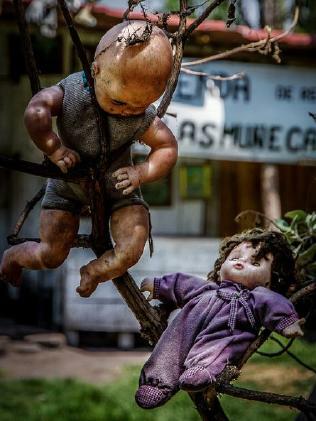 It’s not clear how much of the story is fact and how much is legend, but what we do know is that a man named Don Julian Santana filled the island with thousands of dolls, hanging from trees, fences, buildings – just about anywhere. He claimed to have found the body of a little girl who had drowned in the river, and the dolls were his way of appeasing her angry ghost. 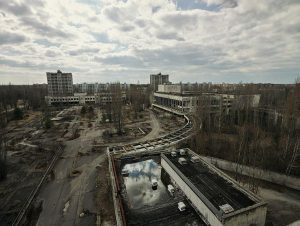 Chernobyl – Three decades after the worst unintentional nuclear disaster the world had seen (until Fukushima in 2011), tourists flock to the post-apocalyptic landscape of the nuclear plant and the abandoned neighboring city of Pripyat. But you’ll have to sign a disclaimer and submit to a body scan before leaving to make sure you’re not radioactive! 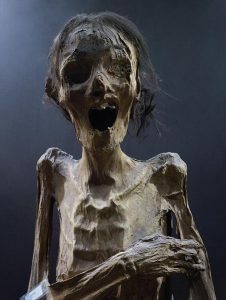 The Mummies of Guanajuato – A 19th century cholera epidemic filled the cemeteries of the Mexican town of Guanajuato, where the hot, dry climate turned them into natural mummies. When a “perpetual burial” tax was later imposed, those whose families couldn’t pay were disinterred and stored in a building. So of course, they decided to open a museum and charge admission. 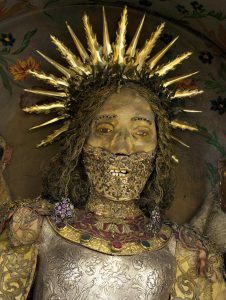 All Blinged Out and Nowhere to Go – Churches in Germany, Switzerland, and Austria often feature bejeweled skeletons, looking fabulous for all eternity. 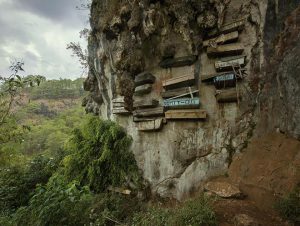 Hanging Coffins – For at least 2000 years, members of the Igorot tribe of Mountain Province in the Philippines have buried their dead in coffins that are hung from the sides of cliff faces. 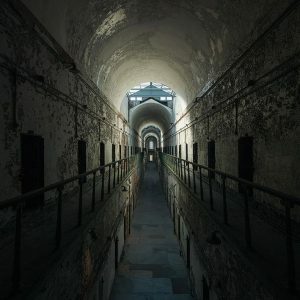 Eastern State Penitentiary – Abandoned prisons are a very popular destination for Weird Tourism. This one in Pennsylvania is where Al Capone had his first experience as a guest of the penal system.